Toward sundown with wooly worms at Pyramid Lake. 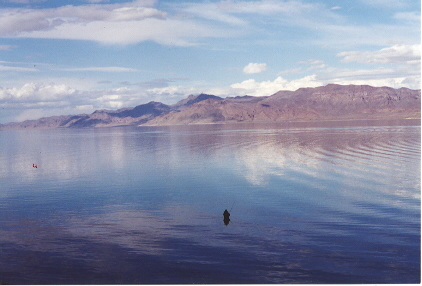 Fishing is hot at Pyramid Lake right now. Go to the south end of the nets (near Sutcliffe), or the area around the Block House at the south end of the lake, or the very south end of the lake below Popcorn Rock. You’ll need a sinking line, 10 ft 8 w rod, shooting head, or teeny type 4 line. Woolly worms or foam beetles. You can tie the beetle on behind the woolly worm. In your newsletter of November 2001, you mention a man named Johnny Quick, who claims to have been a member of Bill Haley and the Comets. I should point out that extensive research — including interviews with members of the Comets and Haley’s family, plus overwhelming recording session research done by others — have failed to uncover any evidence that a Johnny Quick was ever a member of the Comets. He certainly was not in any way involved with the recording of Rock Around the Clock. 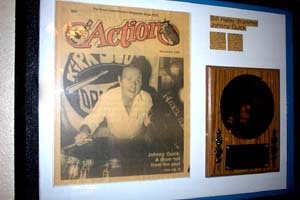 The drummer on that record died in 1995. Clearly Mr. Quick qualifies as a “local character,” but his claims should be taken with a grain of salt. A friend in Elko writes: I liked the MaryJane page in the last Travelgram. I too have seen the at the Jiggs bar. Just don’t ask to see the picture of it being born — it is gross. More Jiggs? read Howard Hickson’s informative article. And if you haven’t had enough of Jiggs yet, here’s a murder story: Andy & the Snake. Want to own a historic hotel in Central Nevada? 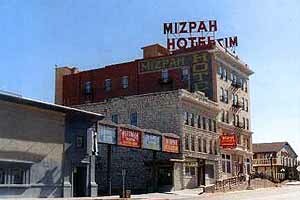 The Mizpah Hotel in downtown Tonopah, built in 1907-08 at the height of the silver excitement and restored to jewel-box brilliance in the middle 1970s, is for sale. The property consists of 6 buildings on 5 parcels with a total area of 1.387 acres. Approximately half of the property area is parking. Who will buy the Mizpah? beyond all building codes, including earthquake bracing, fire alarm and sprinkler system. A mining boom disrupted Scott’s plans to make the Mizpah a high-roller getaway as it filled with unromantic mining engineers and heavy equipment salesmen soiling the carpets with their muddy boots, and he sold it in 1980. When the boom ended a few years later, the Mizpah went rapidly downhill. It closed in 1998, re-opened briefly, then closed for good in 2000. 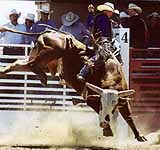 The National Intercollegiate Rodeo Association Western Regional Finals will be held in Elko May 15, 16 and 17, at the Elko County Fairgrounds. The hotel occupies the second through fifth floors with 41 guest rooms, 4 parlor rooms and two meeting rooms with a maid’s closet and spacious elevator lobby on each floor. The passenger elevator runs from the basement to the top floor and was overhauled in the mid-1990’s. The car is the original 1907 Otis, upgraded to meet all safety standards. The Mizpah is priced at $1,500,000, but you should probably bring another couple of million along with you. Write for details or call Trish Rippie Realty, 775-482-3052. To get your free copy of the 2003 Elko Visitors Guide, call 775-738-4091, E-Mail or stop by the Convention Center 8 am – 5 pm, M-F. The Guide contains photographs, maps, a Calendar of Events, lodging, dining, gaming and entertainment information, descriptions of Elko’s visitor attractions and full- and half-day driving tours. 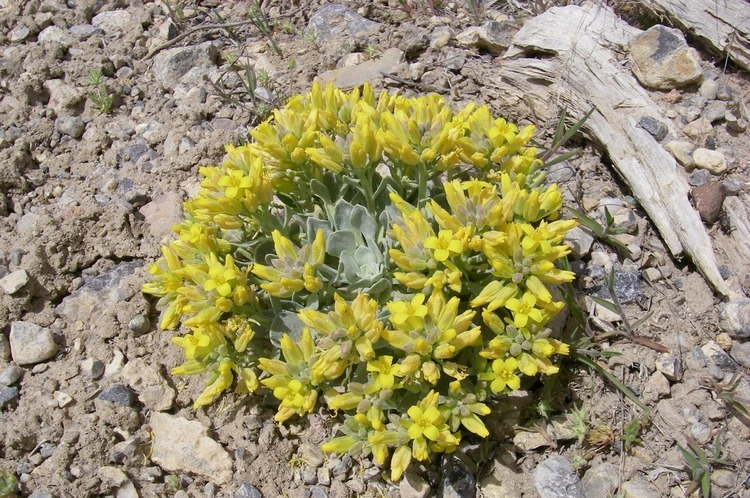 It’s a great way to begin a love affair with Nevada’s great outdoors.